“Homosexuality and sexual identity issues are present from birth” has become a widely accepted concept. The author points out the error in this thinking, and instead explains that this issue is rooted in the lack of a loving attachment between parent and child. 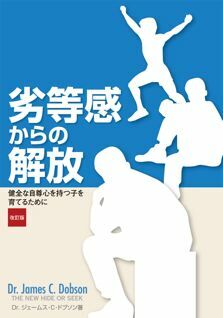 ・Steps toward developing a healthy sexual awareness. ・Instilling a sense of secure sexuality in our sons and daughters. Doctor Melvin Won is a Chinese American hailing from Singapore. Currently based in California, he serves as a counselor treating those suffering from a sense of sexual mis-identity, also regularly giving lectures in Japan. 著者　ジェームス・ドブソン James C. Dobson, Ph. D.
It is a difficult time for boys. Mothers are naturally concerned about how best to raise their sons. How are boys and girls different? When your son has trouble at school, what should his parents do? Doctor Dobson gives clear answers to many parents’ concerns. Special Sale! Purchase both the book and DVD and receive a discount! Special expires November 28, 2008.